Laser Cutting, Voyager also offers the latest in manufacturing equipment from laser cutting to robotic welders to our in-house powder coat operation. 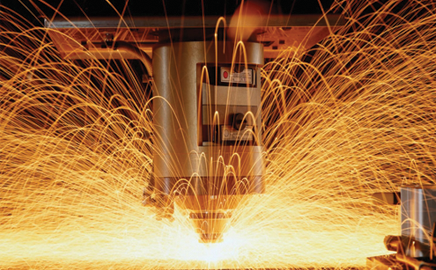 Our custom laser cutting service gives anyone the ability to create custom parts from a variety of materials. Laser cutting also allows you to realize intricate designs that are too complex for creating by hand. We can laser cut almost anything you can draw, including sharp angles, smooth curves, small screw holes, and complex lace designs, and we can also laser engrave text, logos, and photos on to your parts.